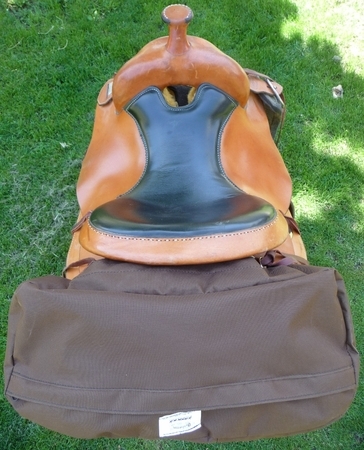 Improved & better Cantle Bag with Saddle Cover. This is a must have item for the person riding in bad weather. 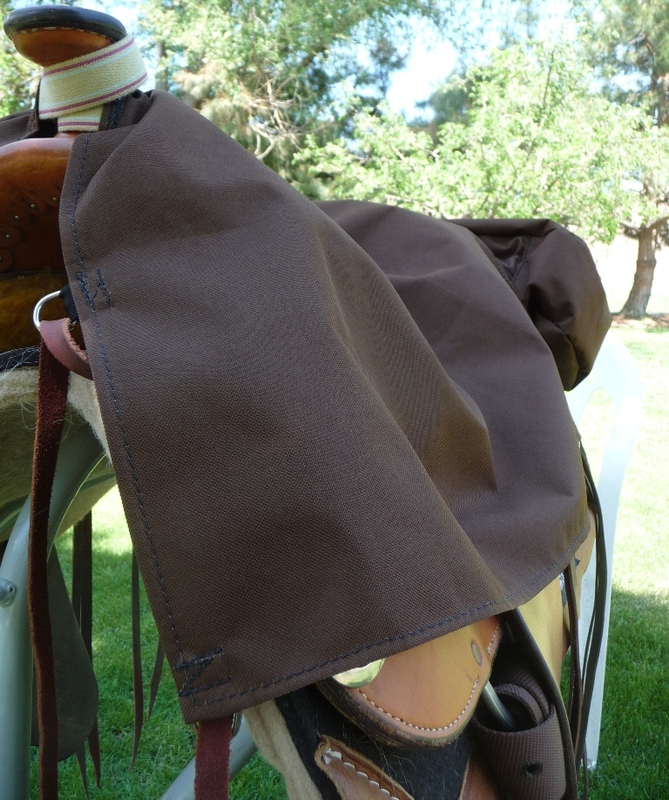 It's a regular cantle bag with the pull-out saddle cover to protect for your saddle from rain and snow. When you don't need the cover, just roll it up and hide it in it's own compartment on the side of the cantle bag. We put 4 x 1" D-rings on each bottom corner of the cantle bag for secure attachment. The saddle cover has several 1/2" D-rings to strap it down on your saddle.